I was always a reader, and I read a book where the guy fell down the stairs and died at the end. I was really mad, and I felt frustrated with some other books I’d been reading, so I decided to write my own book where no one died. IF I STAY by Gayle Forman is one of my very favorites, and also outside my genre. I love contemporary YA, and I like how IF I STAY is kind of contemporary with a twist. Plus it’s a beautiful, heartbreaking novel. I’m not sure if this was from another author (but it could have been), but the best advice I ever got was this: The only difference between a published and an unpublished writer is that one of them gave up. 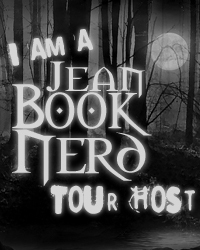 In your book; Rebel, can you tell my Book Nerd community a little about it? REBEL is the sequel to REBOOT, which is about a future Texas where the teenagers Reboot after death and are forced to work as soldiers for the humans. The longer you’re dead, the better Reboot you are, and my main character Wren was dead for the longest of any Reboot (178 minutes). When she meets a new Reboot named Callum who was only dead for 22 minutes, she starts to question everything. For those who are unfamiliar with Wren, how would you introduce her? I would say she is someone who has been told so many times that she has no emotions that she had internalized that and now believes it to be true. She’s created a very hard shell on the outside, and she is very tough physically, but she is actually capable of a wide range of emotion, which is evident in the very first chapter of REBOOT. I’m working on a YA fantasy right now with swords and princes and sassy evil queens. I love it, and I hope I get to share it with the world one day! I would introduce Wren to June from LEGEND by Marie Lu. It’s one of my favorite books, and I feel like those two characters would be kind of hilarious together. They would sort of be friends, but they probably wouldn’t talk to each other much. What was one of the most surprising things you learned in creating Callum? I actually realized that I didn’t agree with some of his choices. I had him make decisions based on the type of character I created, but they wouldn’t be my choices. He uses his heart more than his head sometimes, and some of Wren’s frustration with him is actually my frustration as well! I don’t answer it with a lie, but I’ll never answer the question, “What are you thinking about?” I despise that question. In my opinion, everyone’s thoughts are their own! When we want to share our thoughts with others, we do. Read! Read books in your genre, and books outside of it. Read books you think you’ll hate (because there’s a good chance they’ll surprise you). The best way to learn about writing is to read what other authors are doing. At first your writing might sound a lot like your favorite authors, but eventually your own voice will shine through. 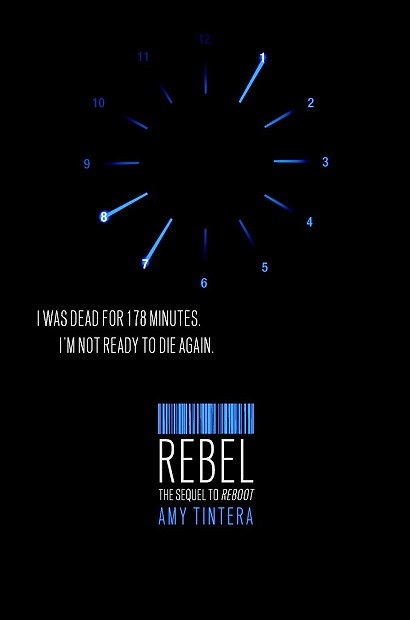 Amy Tintera’s thrilling debut, Reboot, was an absolute standout and continues to bring explosive storytelling in the second book, Rebel. After seeking refuge outside of the HARC territory, Wren and Callum’s path to freedom comes to a halt. The leader of the Reboot Reservation, Micah, has convinced everyone to engage in a war on the humans. When Wren is unwilling to do his bidding and Callum’s refusal to let his human family be murdered, Micah is about to learn the full potential of the two. The alternating point of views between Wren and Callum delivered depth to the story as well as their relationship. A book may have the most exciting story but without character building, everything just falls flat. There is no way near that it ever fails to bring characters that are highly dynamic and fully fleshed out. Wren and Callum are immediate fan favorites from the start. Although Wren goes through a bit of a change in Rebel, it hinted at just how complex her character is. She is obviously amazing but still carries a mystery. Callum is a 22 and is more “human” and his point of view in the story provided a new look on their adventure and especially their relationship. Tintera’s writing style fits perfectly. The pacing of the story is just right and she delivers characters that many readers will be cheering for all the to the end. Readers will appreciate the care she puts in every aspect in this book. It is a newly refreshing take on “zombies” with a story that is completely mind-blowing. Wren and Callum goes through a tough journey and their relationship will absolutely touch your heart. It’s a bit disappointing that the story ends in two books, but it ended just perfect. Tintera’s Reboot series is a no-brainer to add to your “favorites” section on your bookshelf. Thank you Amy & Harper Teen for making this giveaway possible. 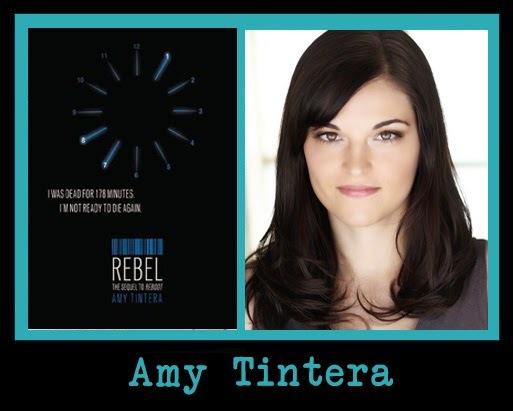 One lucky winner will get a one of a kind, annotated copy of REBEL by Amy Tintera. This means a copy full of hand written notes and extra fun info will be all yours!